I was humbled and delighted to find I had been ‘tagged’ to answer eleven questions. Thank you Geoffrey Valentine at High Tea Dreams for nominating me to do this. I enjoy reading your reviews very much. 1 How long have you been a blogger? Since December 2012, just over two and a half years and it has been a pleasure to learn and do something new. 2 At what point do you think you will stop? When I am no longer able to read books and type! 3 What is the best thing? Reading reviews of books I have read from kindred book bloggers. 4 What is the worst thing? Finding a book that isn’t for me. I would ideally like to love every book I read. 5 How long does it take you to find/create pictures for your post? A few minutes, I screen shot covers for my book review posts and look for stock photos for anything else. 6 Who is your book crush? It’s been a while but my last book crush was Ben Hope from the Scot Mariani books. I love a deep, moody and capable hero and am willing to overlook the smoking as he’s only on paper. 7 What author would you like to have on your blog? I still get incredibly starstruck when an author contacts me after I have written a review about their book and that often leads to total mental block and I end up responding with the most nerdy cringeworthy tweet or comment. I would love to have Tess Gerritsen on my blog. 8 What do you wear when you write your blog posts? Usually a couple of cats on my lap!! But seriously something comfy and light I can do a few yoga poses in. 9 How long does it take you to prepare? 10 How do you feel about the book/blogger community/culture? I love it. I spend more time reading and finding blogs than writing them which suits me fine. 11 What do you think one should do to get a successful blog? Success is extremely subjective but I think keeping at it and posting frequently is imperative to being a blogger. Thank you. I find everything is quicker to do on a tablet and a device I can hold away from the cats is more pragmatic than a laptop or desktop. I’m amazed how you can read books so quickly. I probably shouldn’t ask this, but do you skim or get lost in the text? I love that you’re willing to share and help others. An admirable quality! I don’t skim, I read very closely, I’m lucky that I can focus, despite distraction from the cats, for long periods of time. I love getting lost in the text and if I didn’t do so there would be no point in opening a book. Reading is a pleasure for me and not a job, as is the blogging. Love it. What a great way to get you talking about your writing/ reading process. Because of you I’ve now discovered Coffeeholic Bookworm and a few others. I truly admire how quickly you review. I have all good intentions. I read so many and then I have endless tasks with my children who distract me with lots of fun things to do and sometimes not so fun, when all I want to do is write and review :-), my books pile up and I am slow. Sigh. On and on I go. I’m so glad you’ve met fellow bloggers through me, helping people connect makes blogging very satisfying. I am a voracious reader and didn’t realise I read fast, it’s just something I’ve always done, but I’m lucky I don’t have many pressing demands on my time. I have become more selective over what I add to my reading list though. I think I read less crime thrillers than I used to and I find I’m less forgiving of the horror genre than I used to be. I can’t read more than one book at a time and earlier this year I tried audio books but just can’t seem to concentrate on the book unless I have text in front of me. I agree. Text is important to me too. I’ve never done audio books. I even have difficulty with a Kindle. I have to have a solid book in my hands. I’m getting used to the whole e-book though. It took me a while to get used to Kindle but I can’t do without the instant dictionary now and I have tiny hands which make holding big books awkward so kindle is easier on that front too. 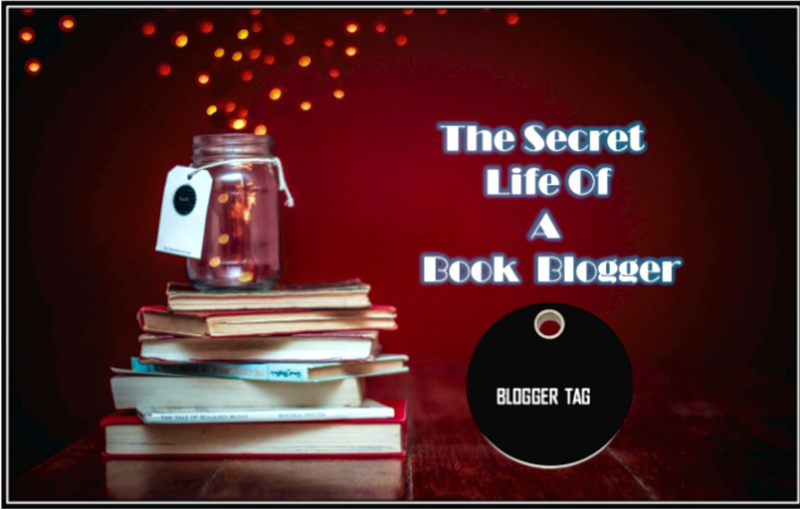 Thank you for this 🙂 Here’s my answers/post for the book blogger tag. It was great answering the questions! Good to get to know a bit about you. I find that it takes no time at all for me to get ready to read when I know I have a great read at hand. I’m curious to know how this blog tagging thing works? I’m new to tagging too and got tagged twice this month, it seems to be spreading widely. Well, I’ll have to follow this new trend to see how it works. 😀 Goodie for you!